Published on June 7, 2010 in General T&T, International, Law, People's Partnership, PNM, Politics and UNC. 17 Comments Tags: FIFA, Jack Warner, Kamla Persad-Bissessar, Keith Rowley, Politics, Stephen Kangal, T&T Govt. Do not mess with this sophisticated and unsuspecting T&T electorate. 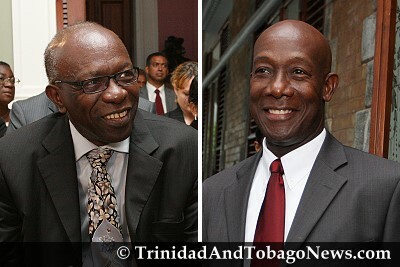 They will quickly appreciate that Opposition Leader Keith Rowley is using as a cheap political strategy the stirring up of trivialities on Mr. Warner’s FIFA connections geared exclusively to kick-start and feather his own dwindling, discredited and deteriorating political nest. His next volley against super-Mom Kamla’s PP Government will be a racism charge.